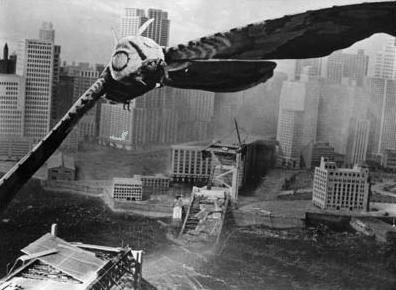 So in my eco-friendly desire to be a good citizen, I have purchased on too many organic bulk food items without understanding the real risk and consequences of my actions.You might think, well he is doing a good thing but you would be wrong!Because of my foolish green eating hippy ways, I have gave birth to Mothra and she has spawned hundreds of followers who have now taken over my house.AHHHHHH!!!! 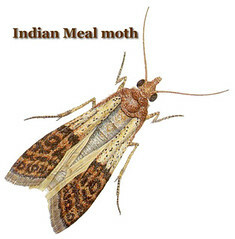 The Indian Brown Moth is a nightmare.It is nigh impossible to destroy and infests almost any food, packaged or not.Only way to really get rid of them is to remove anything that might be food or breed upon, and yes, they eat about anything.This is really difficult since they don’t need to lay eggs only in food. Put all grains, rice and pasta in the freezer for 4 days after purchasing.This will kill any potential infestation. If you are an unlucky soul like me, here are a few good sites on what to do to combat the problem.I will let you know how it turns out in the next few months. Mathra’s spawn still lives. The Safer Pantry Pest Trap that uses pheromone that attracts the male moths does work but only better slightly better than any other sticky surface. They are not very intelligent or fast moving. We also spend time killing most of them by hand with ease and the vacuum cleaner is always a safe alternative for those hard to reach areas. Apparently this is going to be an issue for a long time to come so we have taken to using Lock & Lock food storage to store and protect food we don’t keep in the frig or freezer. It works well though we are not storing any grains. I am hoping they decide to move out before we are forced to. Categories: Green Living and Technology, Humor | Tags: food, moths | Permalink.